Artificial intelligence is not a replacement for the human brain. At least not yet. “That is decades away,” says Rudina Seseri (MBA 2005), answering one of the most common questions she hears. As cofounder and managing partner of AI early-stage venture capital firm Glasswing Ventures, Seseri is more focused on today’s “narrow” artificial intelligence: technology capable of mimicking human thought processes and learning when applied to a specific task. “If you go department by department in any given business, I’m hard-pressed to find an area where narrow AI is not having an impact,” says Seseri, which raises questions for business leaders in all sectors. How can e-commerce businesses benefit from artificial intelligence in the near future? And how will potential customers react to the services provided by AI? SESERI: E-commerce—and retail, more broadly—is one of the areas that will benefit the most from AI. It will enable retailers to provide much better experiences to consumers. For instance, AI will be able to predict what I will like in a way that is much richer than current recommendation algorithms. So much richer, in fact, that my engagement with a particular brand might be very different than yours, because it’s customized to each of us. I can also imagine this predictive learning being combined with new user experiences, such as augmented reality or virtual reality, to create an immersive shopping experience in your home or in a brick-and-mortar store. Some customers are set in the way they shop. Will they appreciate these changes? Who knows? But the next generation will be AI natives—the way millennials are digital natives—and they will grow up with AI retail experiences, and they will expect that richness. Outside the benefits of cost reduction, do you see opportunities within the next two to three years for AI to lead in areas of revenue generation? SESERI: It’s tempting to think of artificial intelligence as a cost-saver because there’s so much talk around automation, but I would encourage people to pause and reconsider that. It’s actually much more about growing the business. I think of AI as, first and foremost, increasing productivity and driving revenue. For example, Glasswing Ventures has invested in a company called Talla, which leverages AI to resolve low-level IT issues without the need for human support. That doesn’t immediately reduce costs for IT services, but it does drive employee productivity. And if you think about AI-enhanced sales or marketing technology, it’s all driving revenue. Do you side with Elon Musk (AI has potential for great danger) or Mark Zuckerberg (the danger hype is overblown)? SESERI: We’re not worrying about the next five years and narrow AI here. We’re talking about the more distant future and general AI, defined as machines handling tasks with (super)human performance levels across domains. Yes, artificial intelligence is a technology layer that will have meaningful ramifications, so we must be incredibly thoughtful about the standards we establish to govern it. There is a need for regulation—in that regard I lean toward Elon Musk’s position—but there are also amazing opportunities, a viewpoint that is closer to Mark Zuckerberg’s thinking. But I’d like to see people who are interested in these big questions look beyond the media buzz. Don’t listen to Elon Musk or Mark Zuckerberg or even me. Instead, read philosopher Nick Bostrom’s Superintelligence: Paths, Dangers, Strategies to better understand the issues. Do you see AI replacing the need for humans completely as it’s applied in certain value chain roles in the future? SESERI: Will AI completely automate certain verticals? I think so, but I don’t know when that will happen. The phase we are in now is “augmentation.” AI is not replacing the need for human labor; it is automating certain lower-level tasks and freeing up humans to take on more challenging or more strategic activities in many industries, from supply chain to data mining to coding. Eventually, there will be industries that are fully automated and certain jobs will go away, but new ones will be created in that process. 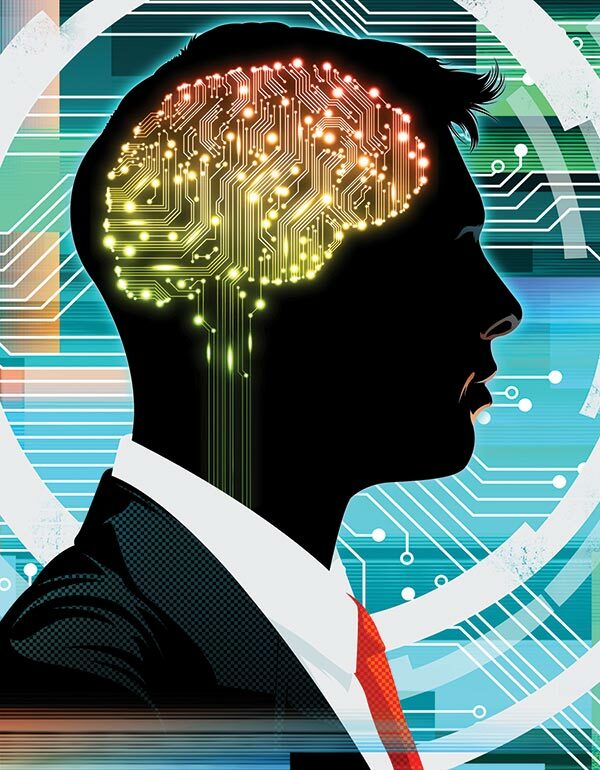 Not surprisingly, high tech and telecom firms are the earliest adopters and innovators of artificial intelligence (AI) technology but a recent McKinsey survey of senior executives shows that financial services, utilities and media firms are now testing the AI waters. On the R&D side, CB Insights research shows that there have been over 3000 VC deals within the AI sector (valuing almost $25B) since 2012. Which sector garnered the largest number of AI-related equity deals in Q3 (2017)? Healthcare.